Ryan, Brennan, Paisley, Lynch, (Haverty 28), Dempsey, Byrne, Fahey, Kirby, O'Neil, Guy, Quigley (Ryan 90). Devine, Horgan, Murray, Lordan, Sullivan, Healy, Murphy, Kearney, O'Callaghan, Behan (O'Flynn 73), Mooney. 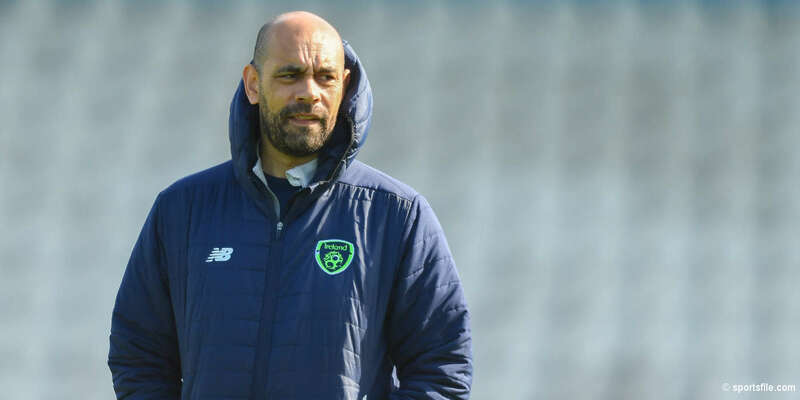 St Patrick's Athletic maintained their lead at the top of the eircom League of Ireland Premier Division table after a cracking five-goal bank holiday weekend clash in Richmond Park, writes Mark Cummins. Pat's went ahead after just two minutes when Gary O'Neil headed past Michael Devine from inside the six yard box. Keith Fahey netted number two after 64 minutes. 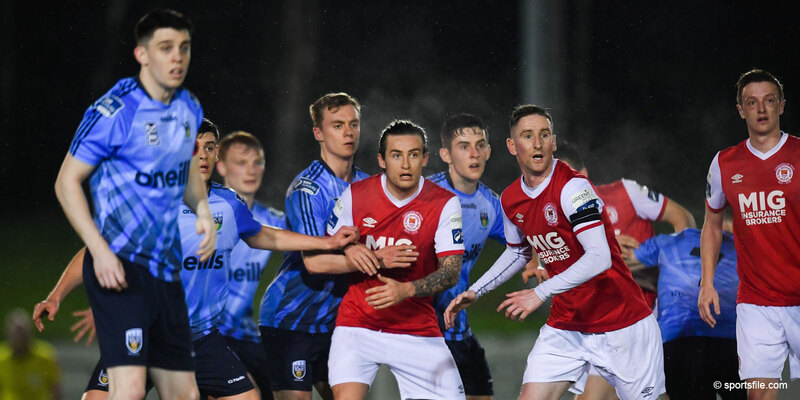 City's Danny Murphy was sent off for a second bookable offence on 67 minutes, before John O'Flynn pulled two back for City after 76 and 87 minutes, but Fahey netted the winner with two minutes left on the clock. Saints opened the scoring before some of the sizeable crowd had even sat down, after Murphy fouled Ryan Guy and Fahey swung in the resulting free kick. It was met by O'Neil who headed past Michael Devine from inside the six yard box. Murphy put Dave Money through on six minutes, but he couldn't do anything under the pressure of Dessie Byrne. Liam Kearney then spotted Mooney on the edge of the box and sent a decent ball in from the left, but Stephen Paisley got to the ball before Mooney. 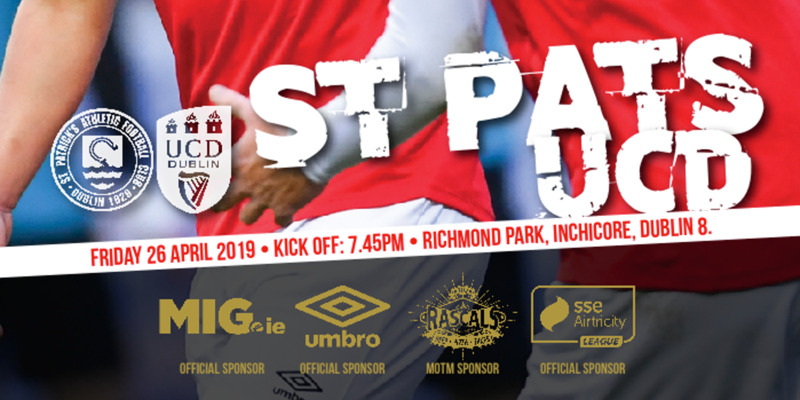 After ten minutes, Damien Lynch wasted a chance for Pat's following good work from Byrne, O'Neil and Fahey, when he blasted a shot high into the Inchicore end stand. Mooney then had Cork's first real attack on goal with a strong header on 23 minutes, but Barry Ryan made the save. Ryan saved again from a Kearney shot on the half hour. Devine prevented Pat's going two up when he made a great point-blank save from Mark Quigley at his left post. Quigley then wasted a chance on 37 when he pounced on a City mistake, took possession, but shot straight at Devine. Ryan got down well to push a George O'Callaghan free kick around his post just before half-time. Pat's kept up the pressure in the second period, as an unselfish Quigley squared the ball across to Gary Dempsey rather than have a pop, but the visitors' defence cleared. The ball found Alan Kirby, but the referee's assistant waived his flag for offside. City had a good spell as the second half progressed and a Murphy corner on the hour looked dangerous, but Paisley managed to clear the danger. Pat's pushed on however and doubled their lead on 64 minutes, as Fahey forced the ball past Devine in a goalmouth scramble. Neal Horgan got a touch on the ball as he attempted to clear, but Fahey will claim it. City's task was made significantly harder on 67 when Murphy was sent off for a second bookable offence. He made things worse for himself by walking back to ref Damien Hancock, having first started to leave the pitch, and telling him what he thought of his decision. He soon left the field as his manager Alan Mathews looked on stony-faced. Chasing the game, Mathews took off Denis Behan - who had a quite night by his standards - and brought on the inspirational John O'Flynn with 15 minutes remaining. Three minutes later, O'Flynn put City right back in it with a superb headed goal from a Colin Healy cross that beat Ryan from inside the area. O'Flynn looked to have stolen a point for City when he connected with a Cillian Lordan cross with three minutes left to beat Ryan, again from close range, but Fahey secured the points for Pat's when the action switched immediately back to the other end and he buried the ball into the back of Devine's net after a scramble in the City goalmouth.